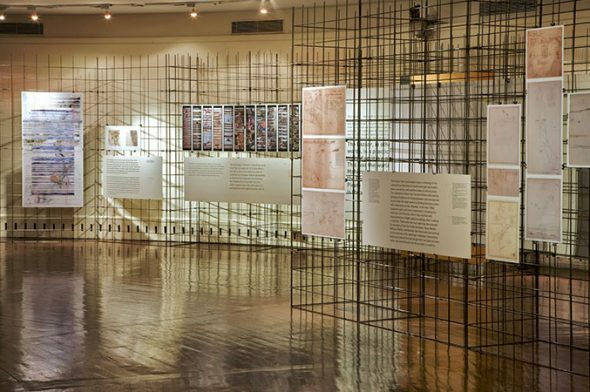 Soak, an exhibition designed by Trapeze featuring the work of architects and planners Dilip DaCunha and Anuradha Mathur. 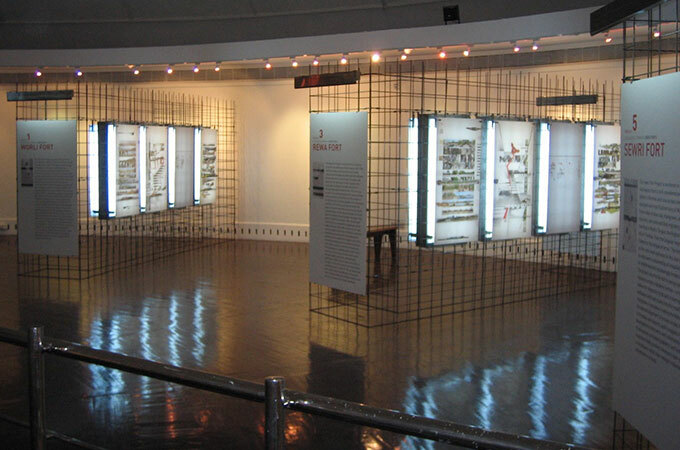 The design required a modular grid system to be developed on which acrylic panels and backlight boxes could be suspended. Mild steel rods were welded using a precise jig to form the grid modules which were put together with turnbuckle joints. The exhibition is on view at the National Gallery of Modern Art from June 23rd to August 23rd. The scaffolding-like structure is modular, with rods welded in grids using a CNC routed jig and a turnbuckle joint to join the panels. On the grid flat panels and translides are mounted.